It’s been awhile since I had the time or inspiration to experiment in my mixed-media sketchbook. As usual, once I get going, I realize how much I miss this freedom to experiment, paint, draw and doodle with different media. 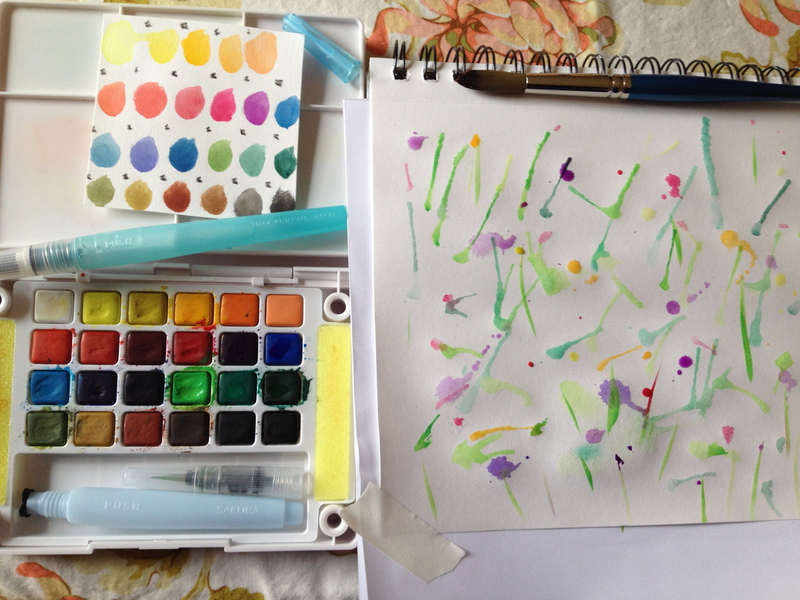 I was inspired by Alisa Burke’s post on watercolor blooms. 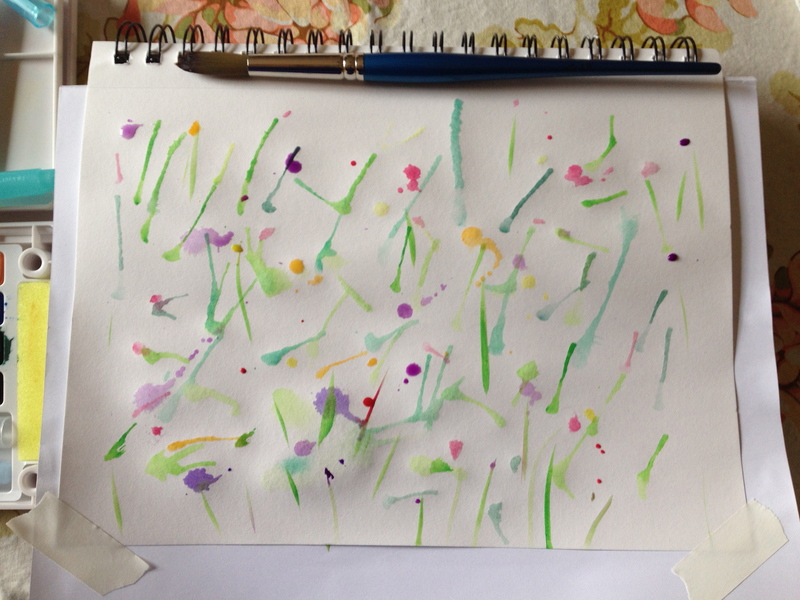 I don’t do abstract illustrations very often, so I thought this would be a good prompt to just make some streaks and splatters and see what the colors reveal. 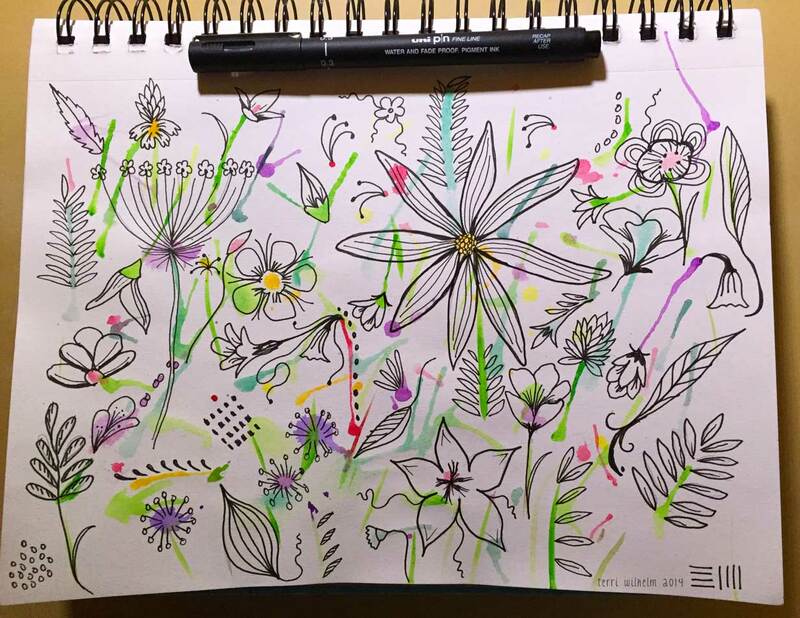 Then I filled up the page with wildflower doodles using my favorite black pens. It’s amazing how different this page looks! And now I have a fun new art print that I love! Note to self: do this more often. Just love it, you brought a smile to my day. Thanks. Thanks so much, Kate! I really appreciate your feedback and comments. My sketchbook is almost full of fun pages like this, which is great motivation to keep going and make more work.